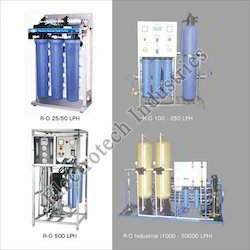 We take pride in offering unmatched range of 50 LPH RO System to our clients as per their requirement. Our range finds huge demand in the industry and is offered at competitive market prices. 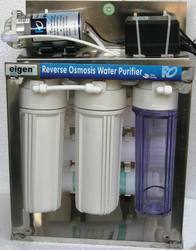 We are engaged in offering our clients with a qualitative range of CommercialROWaterPurifier. Our range is based on advanced technology and offers impeccable performance to our clients. These are widely acclaimed for its ability to purify the drinking water from all the impurities and making it safe to drink. Low Pressure Switch to protect the system from dry run. 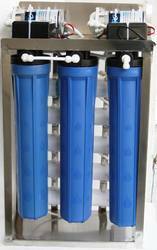 We also have the expertise in offering a wide range of 25 LPH RO System to our clients. These are designed in accordance with industry standards and extensively used in the commercial and domestic sectors. We also provide personalized solution to our clients as per their requirement. 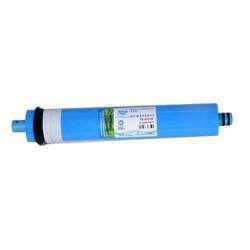 High quality membranes, components and filter cartridges. 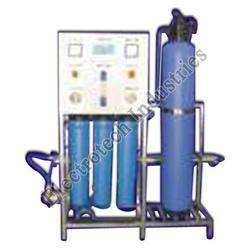 We provide a comprehensive range of Commercial RO Water Purifiersto our clients. These are based on advanced technology and quality raw materials. Our range is highly appreciated by our clients for the high accuracy results, performance and user-friendly nature. Furthermore, we offer our range to our clients at industry leading prices. Sr. No. Range Specifications Function 1 Raw Water Pump Suction Pump for raw water (1no.) 2 Sediment Filter 10 Micron, Sediment PP Filter Removes physical impurities like dust, sand, rust and other suspended particles providing first line of protection to the complete system 3 Carbon Filter Removes odor and color and absorbs organic chemicals and pesticides. 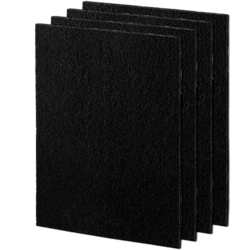 4 Spun PP Filter 5 Micron Removes fine particles which cannot be removed by 10 Micron sediment filter. 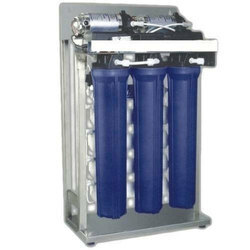 5 Melt blown PP Filter 1 Micron, Melt blown PP Filter Removes smaller contaminants and other remaining particles to protect the RO Membrane 6 Booster Pump To boost the water before the membrane (1no.) 7 RO Membrane Length = 40, Dia. =2.4(1 no. 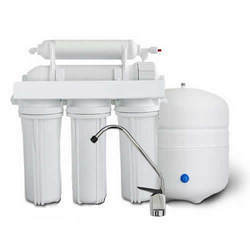 ), Make = DOW FILMTEC Removes undesirable chemicals, Total Dissolved Solids, Bacteria & Virus and provides REAL Drinking Water. 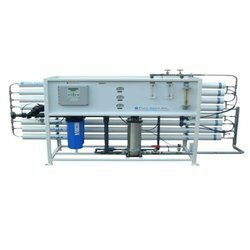 8 SS/MS Skid 9 Antiscalants Dosing System To enhance life of RO Membrane Advantages One of the safest ways to purify the drinking water, Does not use of chemicals such as chlorine or iodine, Does not require frequent filter changes or cleaning, Ideal for removing even smallest particles from the drinking water. We are importers, manufacturers and wholesellers of domestic, commercial and industrial RO, UV and UF water purifiers and spares thereof. 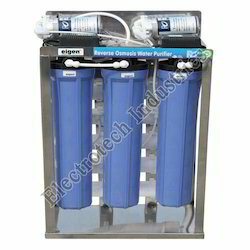 we have specialization in commercial RO water purifiers such as 25, 50 and 100 LPH capacities with quality components and high performance. The superior quality array of Brackets for 5 Stage RO made available by us is manufactured using sophisticated and modern technology. Acknowledged for compact designs and excellent performance, our brackets for 5 stage RO find huge demand in the market for their compliance with prevailing industry standards. Only after the approval of our quality control experts, these water purifier fittings are dispatched to the market. Timely delivered at clients' end. - Available in 80 Gpd with Anti Fouling Layer.